We have shown you recently how to bring back the my computer icon and recycle bin icon on the computer desktop. 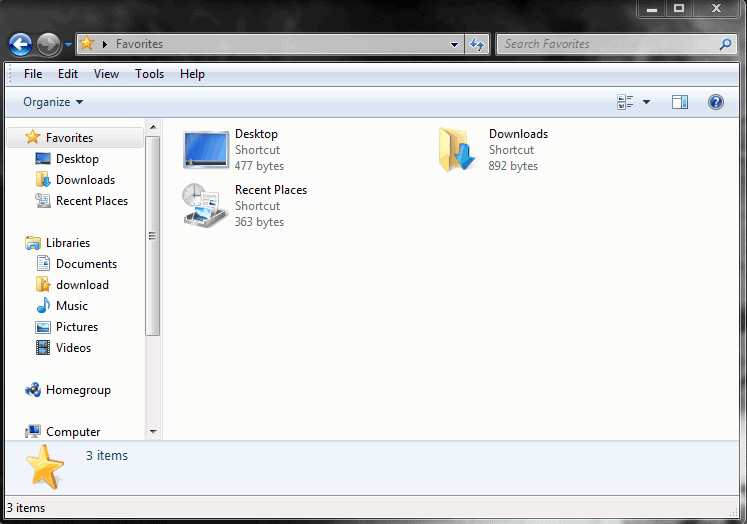 The recycle bin is however missing from the left sidebar in Windows Explorer. The following guide explains how to display the recycle bin in the left sidebar in Windows Explorer. If you take a look at the standard sidebar in Windows Explorer you notice that it contains links to Favorites, Libraries, Homegroup, Computer and Network links and folders. A right-click on some sidebar elements, like libraries or favorites, opens the possibility to add a new location to those locations but there is no apparent way of adding the recycle bin or any other Windows system folder for that matter to any section in Windows Explorer. There is however an easy option to display the recycle bin. Right-click a blank spot in the left Explorer sidebar and select the Show all folders option from the opening context menu. 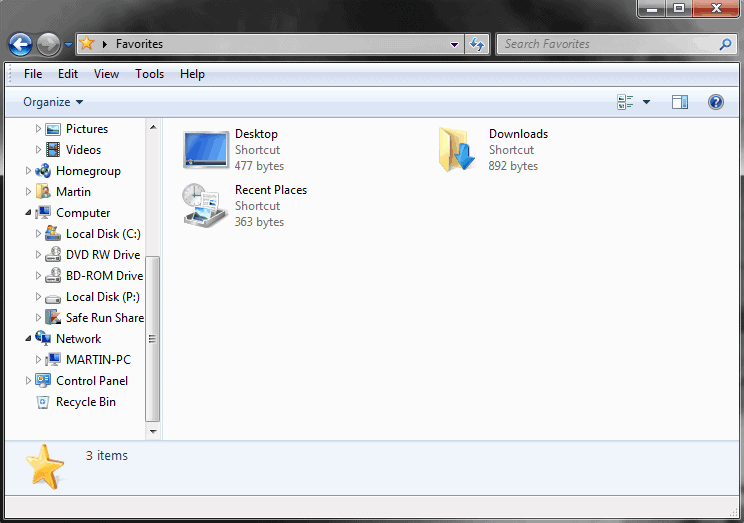 This changes the layout of the Windows Explorer sidebar quite a bit as you can see in the screenshot below. Only two groups are shown in the new sidebar, the favorites and the desktop. Desktop contains the libraries, homegroup, computer and network settings as well as links to the control panel and the recycle bin. Once the Recycle Bin is displayed here, you can drag it all the way up to your favorites section at the top and drop it there. The effect is that it will be accessible from there directly. You can revert the changes by right-clicking a blank spot again and clicking on the show all folders link. You get the old display back but have the link to the Windows Recycle Bin in your favorites now so that you can access it from there directly. To empty the Recycle Bin right-click it and select the option from the context menu. You can alternatively open it with a left-click to delete or restore individual files. And since it is display here, you can also move existing files to it directly from other locations on your system. How to display the Recycle Bin in Windows Explorer on Windows 7 and newer versions of the operating system. Or you can drag drop the recycle bin to the favorites. I just use the ‘delete’ key on the keyboard.. and I added a keyboard shortcut to open the recycle bin. Thank you very much for your willingness to share this knowledge! is there a way to bring back deleted items out of this recycle bin, even after a week or so of using the computer? You can still try file recovery software. Chances are reduced though by every day that you use the computer. Try Recuva for instance. This one had me stumped. Thank you, it worked like a charm. Why the ability to do this is “hidden” is one of those Mister Softee mysteries, but oh well.